The founders of Perthshire charity, Bring Back The Smile To Nepal, have received royal recognition for their work in rebuilding homes in Nepal, with an official invitation to the Queen’s Royal Garden Party in Edinburgh, this July. 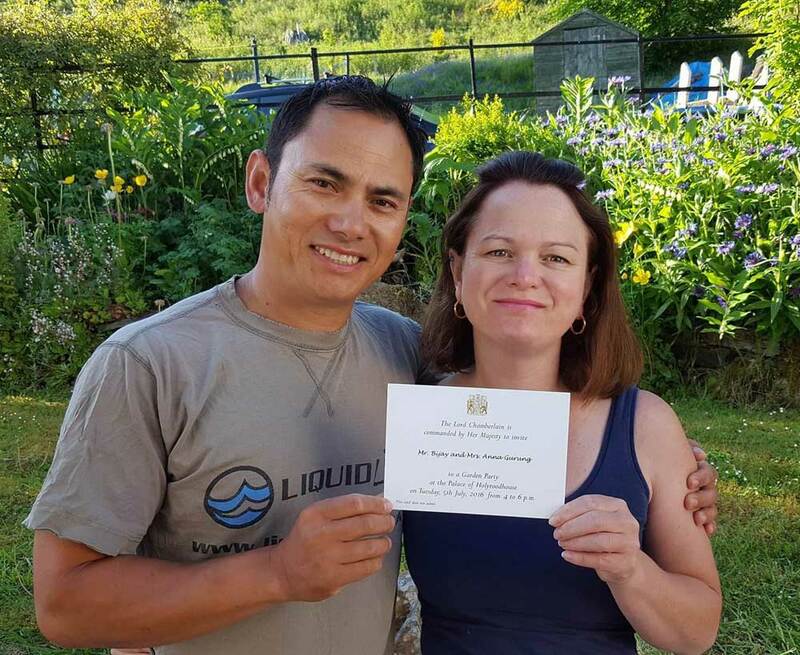 Anna and Sanu Gurung, from Kenmore in Perthshire, started their fundraising campaign immediately after last year’s devastating earthquake in Nepal. The charity is currently hard at work rebuilding the entire village of Archanbas in northern, central Nepal. Every house in the community was completed destroyed during the earthquake. Each year the Lord Chamberlain’s office recommends to Her Majesty a cross section of people that have contributed to British society, through their efforts. Formal Invitations are sent out to the Royal Garden Parties, held annually at Buckingham Palace and the Palace of Holyroodhouse in Edinburgh. Guests will enjoy an afternoon tea, in the presence of Her Majesty the Queen and other members of the Royal Family. Further information about the charity, its work in Nepal and Anna and Sanu’s royal invitation can be found on the charity’s website – www.bringbackthesmiletonepal.org or by “liking” their facebook page.